Often lost in the epicenter of technology and venture capital is the great golf available in San Jose, Santa Clara, Sunnyvale and other neighboring cities that make up the greater South Bay Area and Silicon Valley. Birdie Apps has identified these top municipal golf courses in San Jose and its neighboring areas, which provide not only a great golf experience, but also a great value. Included below is a summary of these “best value” golf courses, including a description of a notable hole and an image from our free Golf GPS App. “San Jose Muni” is a 45 year old 18-hole course conveniently located in the heart of San Jose. The overall course layout is straightforward with wide fairways and flat terrain, providing beginners a great introduction to golf. For the more experienced and lower handicap golfer, San Jose Municipal Golf Course is a great place to work on their game without the worry of excessive bunkers and overly sloped fairways and greens. The goal of San Jose Muni is to not punish the golfer, but provide a fun course with just enough challenge for all. For golfers who prefer walking over riding carts, San Jose Municipal will be perfectly suited for them. Due to the high popularity of the course, it is highly recommended that golfers book their tee time as far in advance as possible. 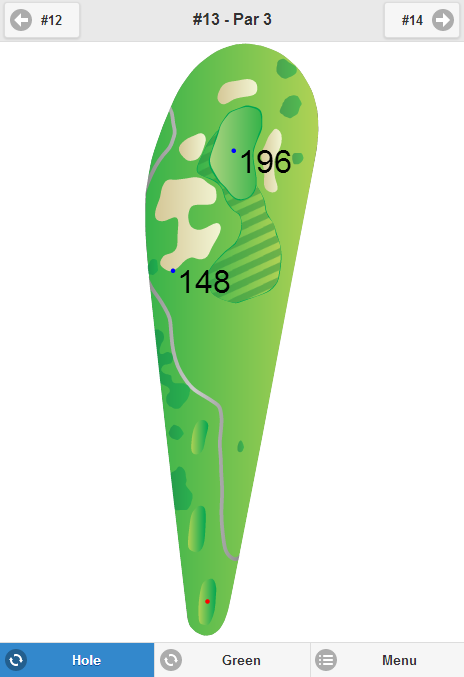 Anyone who has played San Jose Muni will recall this dogleg right par 4. Favor the left side on your tee shot, as a large tree will gobble up anything hit to the right and make shooting par an improbable task. This hole is a great representation of the San Jose Muni golf experience. Located just about 5 miles southeast of Downtown San Jose, Los Lagos Golf Course is a modern municipal golf course that has quickly become a favorite golf destination in the Bay Area. 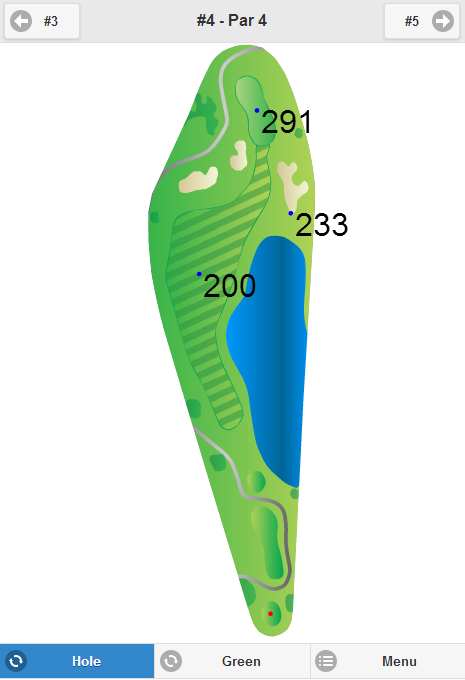 Los Lagos is a par-68 course uniquely consisting of five par-five, four par-four and nine par-three holes. The course is adjacent to beautiful Coyote Creek, an environmentally sensitive habitat. The course itself is in beautiful condition with slightly undulating fairways, well maintained bunkers and smooth greens. While not long, the course has numerous water hazards, fairway bunkers and greenside bunkers that make the course quite challenging for golfers of all skill levels. This unique par-68 layout is a must play for Bay Area golfers looking for a resort quality course at a municipal course price. 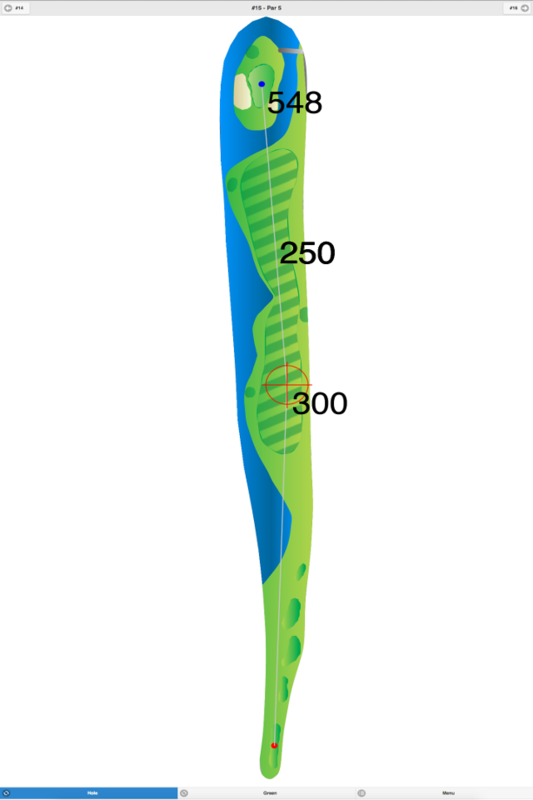 At just 257 yards from the middle tees (291 from the back), the temptation is to go for the green off the tee. This approach line is straight over a lake, with a narrowing fairway behind. Three greenside bunkers protect the green, leaving very long bunker shots that make the golfer wish they would have just laid up off the tee. Sunnyvale Municipal Golf consists of a 9-hole course named Sunken Gardens and this 18-hole Par 70 course. Sunnyvale Golf Course is centrally located right off Highway 101 across from Moffett Field Air Base. Sunnyvale is often overlooked as it is surrounded by a largely commercial area, but the course itself offers a great value for golfers. 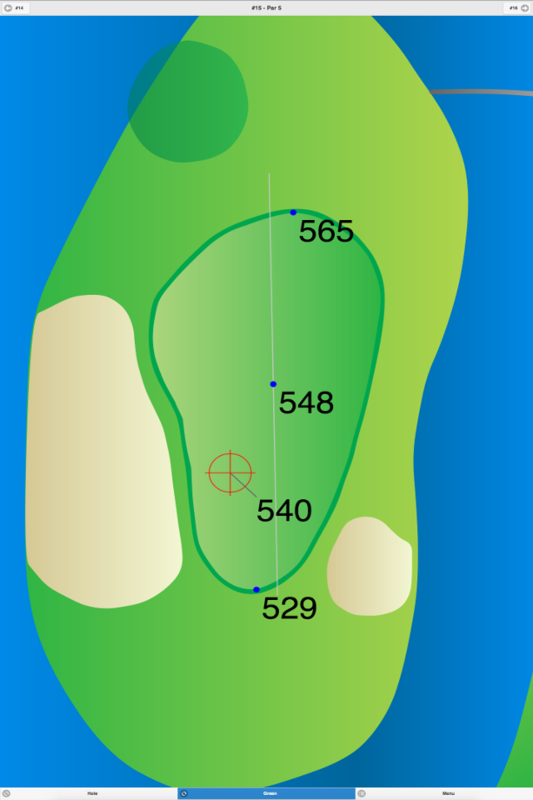 At 6,255 yards from the back tees, the course plays fairly long. Water comes into play in numerous holes which adds to the positive experience. 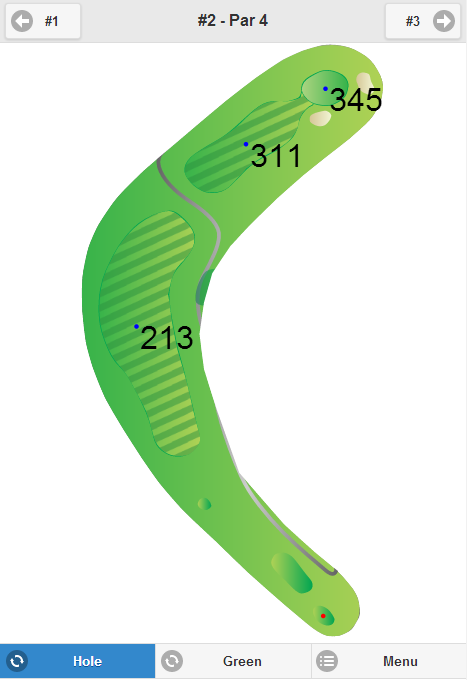 When playing Sunnyvale Municipal, golfers will find by the end of their round they have used most, if not all the clubs in their bag – always a sign of a well designed golf course. Multiple Par 4’s on this course are layup holes, which underscores the importance of course management when playing Sunnyvale Golf Course. Considering the high price of golf at many privately owned clubs in the area, weekday green fees at $35 is a significant bargain. 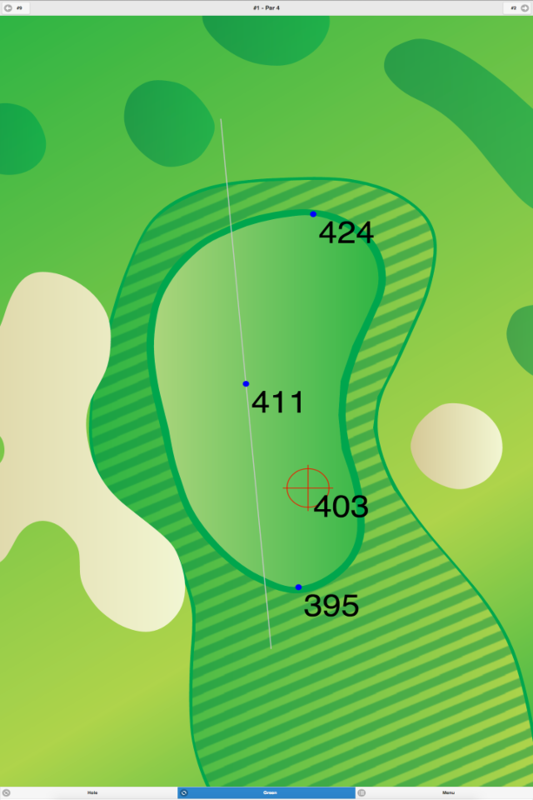 A 196 yard Par 3 that is well protected by bunkers, including a very large bunker in front that requires the golfer to strike an accurate tee shot. Shoreline Golf Course offers a secluded setting that is wildly popular among locals. This municipal course in Mountain View is situated among the 750-acre Shoreline at Mountain View Park in the center of Silicon Valley. Many believe Shoreline Golf Links to be the best municipal golf course in the South Bay Area. Due to its location just off the cool San Francisco Bay, the course has thriving vegetation and is also home to a nearby bird sanctuary, creating a setting that makes golfers feel far from the hustle of Silicon Valley. The course itself is in terrific condition and is very well manicured. While greens can be soft due to the marsh-like feel to Shoreline, they speed up quickly on a sunny day. The 16 acres of water hazards on the course really sets this course apart from its competitors. With a slope rating of 121 from the white tees and 129 from the black tees, Shoreline Golf Links is certainly challenging. Mountain View residents are blessed with the chance to play this great course for just $31 on Monday-Friday. 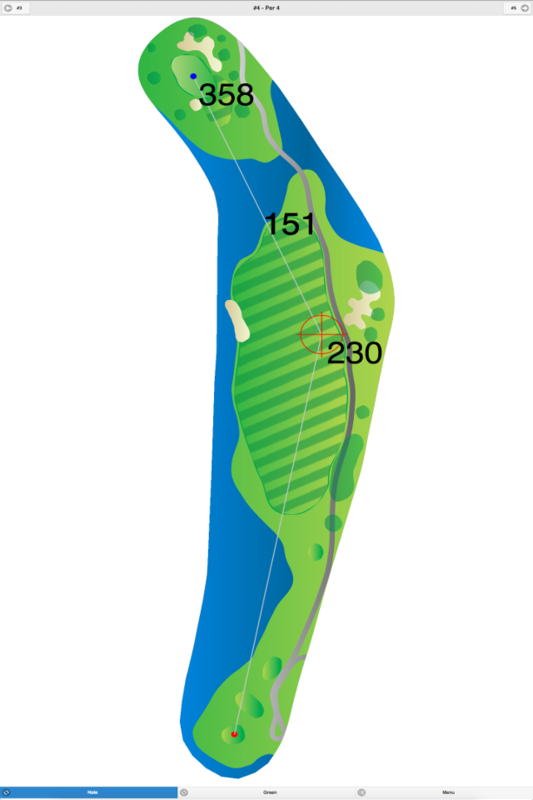 A 482 yard Par 5 (White Tees) that runs adjacent to Shoreline Lake, a beautiful 50 acre sailing lake. The hole is a slight dogleg left with fairly wide landing areas that gradually narrows the closer you approach the green. 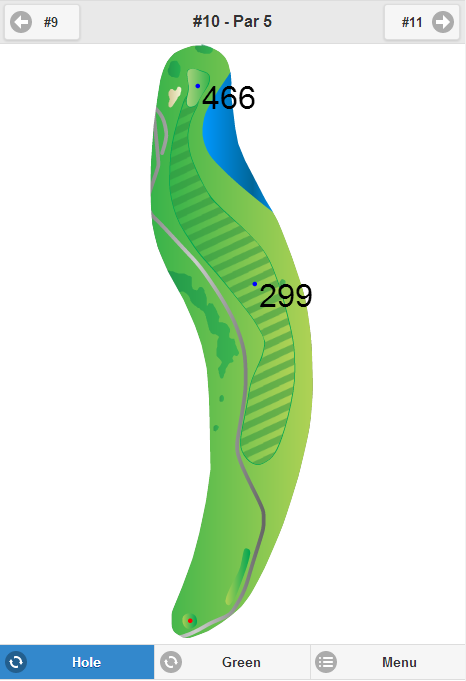 The green is narrow and deep, situated between the lake to the right and a single bunker to the left. An accurate approach shot is a must. Municipal golf in San Jose, Sunnyvale and Mountain View is an opportunity to escape the fast life of Silicon Valley at discounted rates. For those seeking the best value for muni golf in the San Jose area, the deals are out there! While most country clubs and private courses in the San Francisco Bay Area are located in the foothills, these four municipal courses are all centrally located, great for golfers of all skill levels, and easy on the wallet. Whether you are a resident or have a business meeting in the area, consider these destinations for great year-round golf.